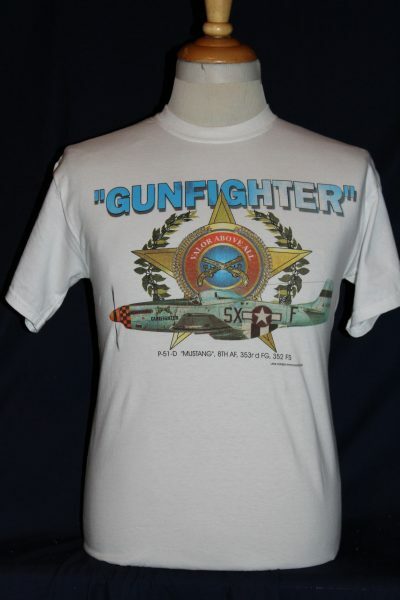 The P51-D Mustang Fighter Aircraft T-shirt is a single sided print in white. 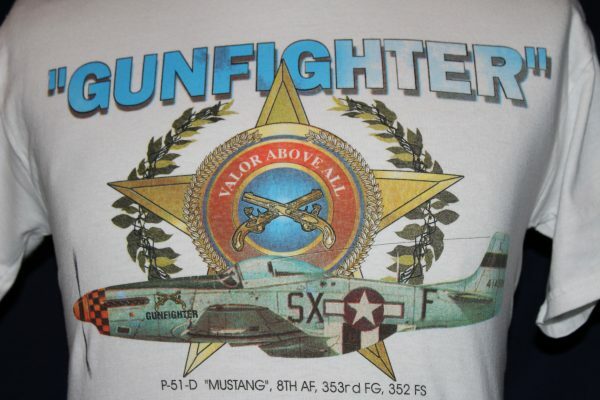 Front Design Only: Side view of 8th Air Force 353rd Fighter Group P-51D Mustang. Superimposed over oak leaves and the 353rd insignia with text. GILDAN 6.1 oz. preshrunk 100% cotton shirt. Double-needle stitching throughout; seamless rib at neck; shoulder-to-shoulder tape. This shirt will wear well and retain its original color and decoration after multiple washings. Note, we use the best quality preshrunk shirts available!